Back before computers were everywhere, I worked with some businesses to develop a graphic identity for their vehicles, printing, etc. I may have saved the logo design graphics somewhere, if I find them I'll add photos to this post. Bouncy scripts incorporated into graphics have a unique eye-catching flow to them. 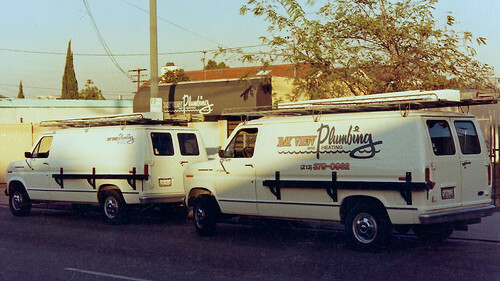 This one - Bay View Plumbing in Redondo Beach CA, was a classic sign painter design that ended up in all their printed pieces, on the vans, magnetic signs, the awning over the office, and who knows where else! 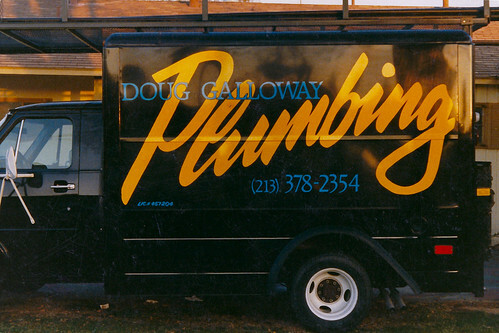 Another plumbing business I designed lettering for - I believe this was the first of a series of plumbing businesses because of referrals - is this one in Torrance CA. 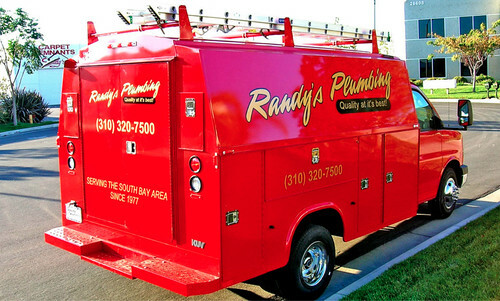 Here's another plumbing van client that I started working with in that time period, this one in Torrance CA. 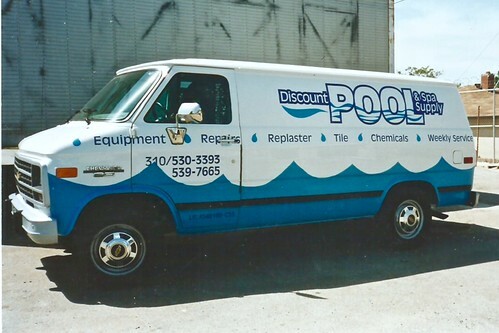 This is a newer vehicle, done in vinyl - but the bouncy script layout was inspired by years of sign painting. 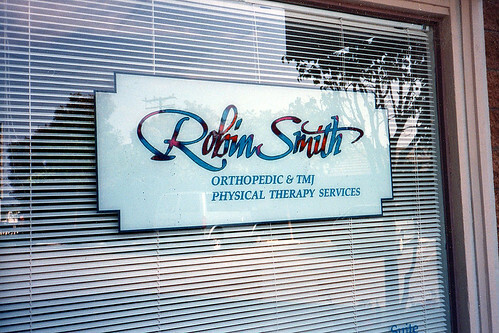 This window signage for Robin Smith Physical Therapy in Manhattan Beach CA used the client's business identity that included a script-style combined with classic sign painting techniques. Based on her business card which had the color effect in the name lettering. Hand painted inside glass - started with outlines and descriptive copy (under the name), then stippled color in the name, and stippled white for the translucent effect it provides for the panel. I did this somewhere in the early 1990's. Sign painters have had a huge influence on graphic design in times past. 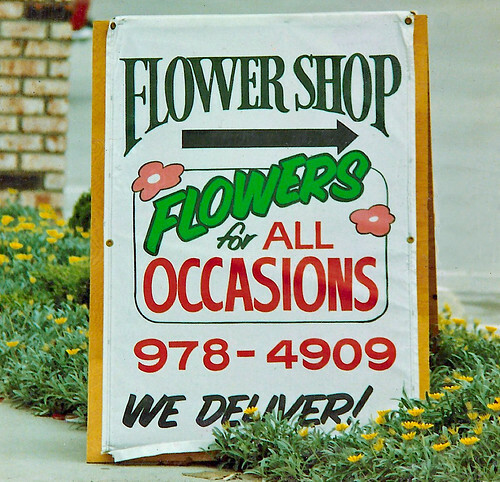 We can look to all the unique script hand-lettering in (what I think, anyway) was the heyday of advertising and graphic design in the 1950's and 1960's.